We will be launching a series of Emotional and Social Schools Workshops in the new academic year. 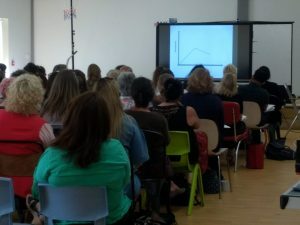 In the last 3 months we have hosted two Workshops entitled “An Introduction to Developmental Trauma” and they have been extremely popular and very well regarded. During the Workshops we have given the audience a whistle stop tour of Beech Lodge's journey so far and some insights into the impact of trauma on a child’s development. We also covered how Fagus enables schools to understand a child's emotional and social functioning and explained the relationships-based approach we use at Beech Lodge along side strategies and interventions. Some delegates, time permitting, were also given a tour of the school. We are also very excited to be partnering with Cornerstone Partnership’s to offer training with the help of their fantastic Virtual Reality platform.